POLSON, Mont. 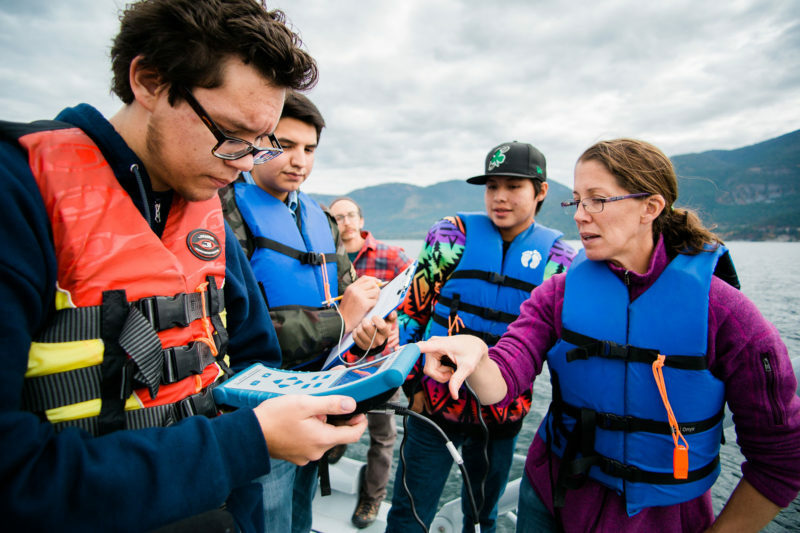 — Braced on the deck of a 30-foot aluminum research vessel, four local high school students bent to the task of measuring the temperature, acidity and other characteristics of sparkling-blue Flathead Lake. So intent were they on their instruments, they appeared oblivious to the seemingly endless sky above this largest freshwater body, by surface area, in the American West, and the dramatic northern Rocky Mountains that surround it. In addition to collecting useful data on the fragile ecosystem, the purpose of this visit to the University of Montana’s Flathead Lake Biological Station was to entice the students to go on to college and expand their own horizons. 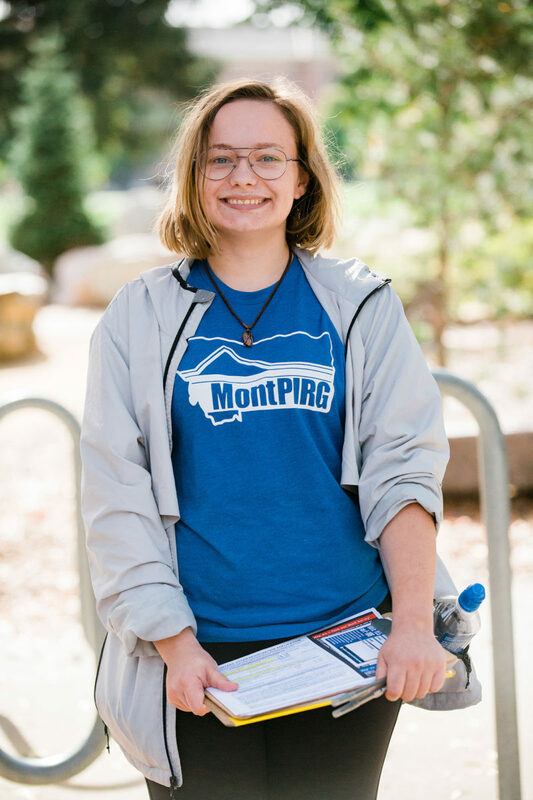 But there’s a broader campaign being waged in this state, not just to encourage high schoolers to consider college, but to persuade increasingly skeptical voters that they should continue paying for it. Montana residents are alone in the nation in being required to weigh in every 10 years on whether to allot a portion of their property taxes to support their public universities and colleges. While they’ve said “yes” every decade since the question started being asked in 1948, the margin has been narrowing, and this year’s vote comes at a time of growing antagonism toward both academia and taxes. That makes Montana’s so-called 6-mill levy a referendum not just on one state’s local property tax rate, but on the national mood toward higher education. “We’ve got demographic shifts that are way bigger than Montana — a slowing birthrate, we have the online revolution providing more and more options for students, and competing uses for tax dollars,” said Republican Representative Tom Burnett of Bozeman, who opposes the levy. This could be a problem for colleges and universities, about which a slew of opinion polls suggest Americans take a dim view at a time of campus speech controversies, athletic scandals, high dropout rates, sexual harassment and assault, comparatively generous pay for faculty and administrators and complaints about the competence of graduates. Related: As students return to college, a basic question persists: What are they learning? Fifty-eight percent of people polled by the think tank New America said colleges and universities put their own interests ahead of those of students. About the same proportion in a Public Agenda survey said colleges care mostly about the bottom line, and 44 percent said they’re wasteful and inefficient. More than half of Americans in a Gallup poll said they have only some, or very little, confidence in higher education. Republicans in particular have come to hold a negative view of colleges and universities, the Pew Research Center reported in a survey in July. Seventy-three percent of Republicans and Republican-leading independents held a poor opinion of higher education, up from 37 percent just three years earlier. A more recent poll by WGBH Radio News in Boston, conducted in August, found that while 78 percent of Americans would be concerned if their states cut funding for higher education, fewer than half are willing to pay more taxes to support it. Self-described liberals were most in favor of paying; self-described conservatives, the most opposed. “There is a general distrust toward institutions, and higher education is one of them,” said Michael Nietzel, former president of Missouri State University and author of the new book “Coming to Grips with Higher Education,” which takes universities to task for being inefficient, focusing too much on the wrong priorities and other problems. Enthusiasm for Montana’s higher education property tax levy has been eroding for a while. It passed with 64 percent of the vote in 1988, 61 percent in 1998 and less than 57 percent in 2008. That was despite a Montana State University poll ahead of the election showing 69 percent support. This time around, a University of Montana poll found that 71 percent of Montanans would vote to continue taxing themselves for higher education. But an earlier poll conducted for the Montana Board of Regents suggested the proportion could be as low as 48 percent, meaning that the referendum wouldn’t pass. An August poll found that while 78 percent of Americans would be concerned if their states cut funding for higher education, fewer than half are willing to pay more taxes to support it. If the levy faces a steep slog, it’s mostly because of anti-tax sentiment, said Bullock, who also supports the referendum. The levy adds $12 a year to a homeowner’s property tax bill for every $100,000 worth of value; the median home price in Montana is $225,100, on which the tax would add $27.01 per year. 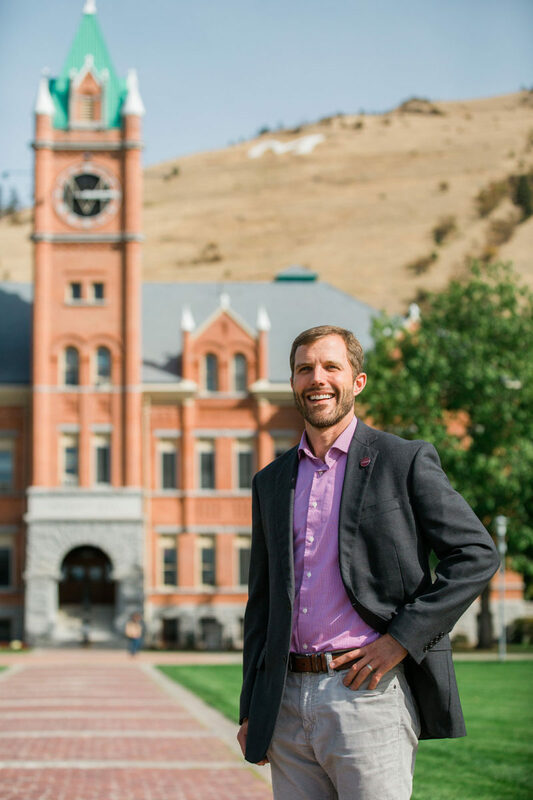 That would raise $19 million in the first year, and about $200 million over the 10 years until the next referendum, the Montana University System estimates — a rounding error for some public and elite private universities’ budgets, but about 10 percent of Montana’s. If the levy fails, the university system warns, tuition could increase by 17 to 18 percent. 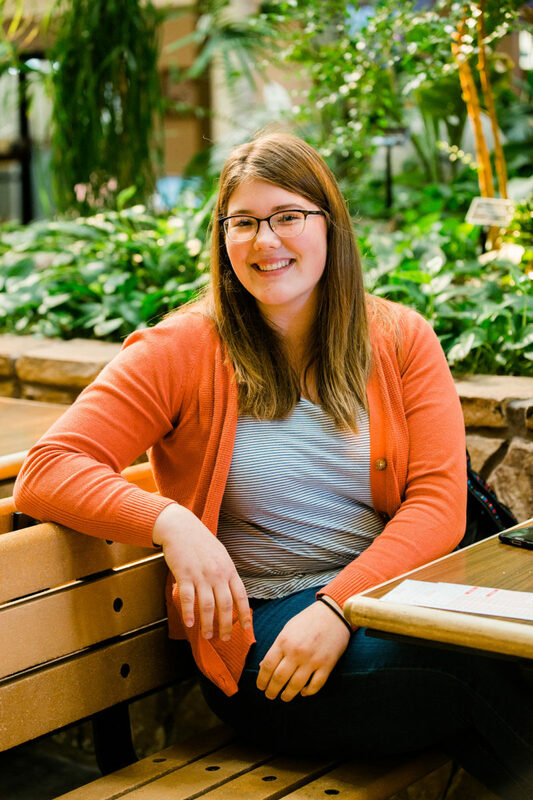 “That’s a lot,” said Annabelle Smith, a junior political science major at the University of Montana who already works part time to pay for school. “It’s super tough to be a student and to afford stuff. Books are ridiculously expensive.” The price of campus parking just went up. The state chamber of commerce, AFL-CIO, Montana Farm Bureau and Montana Economic Developers Association are among the unlikely allies in support of the levy. The principal voice against it, Montanans Against Higher Taxes, splashes photos on its Facebook page of partying students and rails against what it says are liberal faculty, useless courses, campus drug use, high salaries for deans, corporate interests that support the referendum because they profit from students, and a decision to block a conservative speaker from an event at the University of Montana. Customers of every political stripe at Shellie’s Country Cafe off U.S. Highway 12 in the state capital of Helena said their opposition to the higher education levy stems from all the things they think are wrong with colleges and universities. Dennis Mallory, 77, a retiree who describes himself as a “bleeding-heart liberal” and who meets with friends at Shellie’s every Tuesday morning at 10, said he was particularly frustrated that some students graduate from Montana public universities only to move away and take their taxpayer-subsidized skills to Denver or Seattle. “It’s much, much too expensive, and we can’t afford any more property tax,” said Mallory as a waitress delivered orders of eggs and chicken-fried steak from the serving window over which hung a list of the day’s homemade pies. His friend Larry Johns, 77, a retired real estate agent, said universities and colleges have failed to keep up with the times as states such as Montana shift from mining and agriculture to industries including technology, health care and alternative energy. 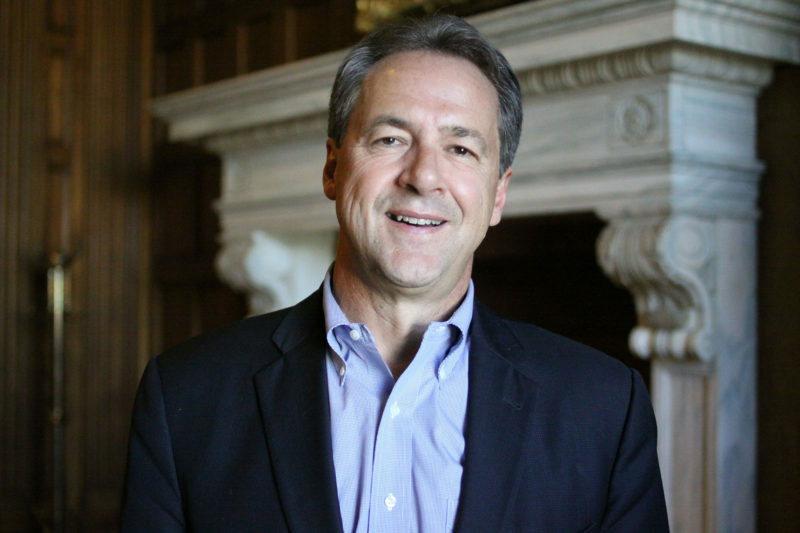 Johns volunteered another reason for not wanting to pay more taxes to support Montana’s colleges and universities: He already spent $120,000 to send his two daughters through them. It’s a complaint likely shared by other parents angry that the cost of higher education has significantly outpaced inflation. At public universities and colleges, paradoxically, that’s at least in part because of falling state appropriations. Ten years after the most recent recession, states are collectively spending $7 billion less on public higher education, when adjusted for inflation, than they did in 2008, according to the Center on Budget and Policy Priorities. Burnett and others argue that cutting state appropriations should force institutions to be more efficient. In fact, they’ve passed the costs along to students. Tuition nationwide at four-year colleges has increased 36 percent, on average, since 2008. Voters have continued to give mixed signals about their willingness to pay more for higher education. Though ballot questions allowing for more money for public universities have passed since 2012 in California, Maine, New Jersey, New Mexico and Rhode Island, Mainers also nixed $11 million for labs and other improvements at that state’s public universities and community colleges. Arizona voters gave a decisive no to continuing a 1-cent sales tax to pay for public colleges and universities, among other things. In Missouri, a tax increase on cigarettes and other tobacco projects was voted down; it would have generated money for K-12 and higher education. Oregon voters resoundingly defeated a proposal requiring a fund be set up to help residents pay for college. In Alaska, voters turned down using money from already approved bonds to make more student loans available. Oklahomans by a wide margin rejected a 1-percentage-point increase in the sales tax that would have helped pay for K-12 and higher education. This year, in addition to Montana’s 6-mill levy, voters will consider authorizing bonds for higher education facilities in Rhode Island, New Mexico and Maine. Additional reporting by Kirk Carapezza and Esteban Bustillos. 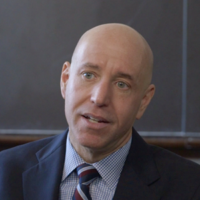 This story about higher education funding was produced by The Hechinger Report, a nonprofit, independent news organization focused on inequality and innovation in education. Sign up here for our higher-education newsletter.